As the son of a builder, Steve was born with a passion for real estate. As a result, Steve has spent his entire career in real estate devlopment. Having developed and acquired more than two million square feet of space valued at over $300 million dollars Steve is quick to recognize opportunity and build the relationships necessary to create a successful project. Steve provides hands-on development expertise including deal sourcing, negotiation, design oversight, project entitlement, and construction management. James oversees the Bethesda office and the company’s holdings along the East Coast; he is active in property management and sourcing new deals. Additionally, he assumes the main responsibility for overseeing and managing the Triumph Partners’ portfolio of companies. He is involved with all aspects of the businesses from negotiating the terms of acquisitions of companies and development projects, to managing finances and lender relationships. This includes the acquisition and financing of more than $400 million in new developments and property recapitalizations and overseeing the firm’s strategic planning. Michael runs the day-to-day operations of Triumph’s Vail office and development projects. He sources and performs due diligence on new opportunities and plays a hands-on role in managing all aspects of the development process, including budgeting, deal structuring, procuring entitlements, interfacing with the public, driving the schedule, as well as managing relationships with brokers, architects, engineers, attorneys, local officials, community groups, clients, partners and investors. Chris Corcoran runs Triumph Custom Homes on the East Coast. A native Washingtonian, Chris has more than twenty years experience as the owner of a premier remodeling and home building company in the DC Metro area. Most recently, Chris has partnered with Triumph Development’s James Fangmeyer and Steve Virostek to create Triumph Custom Homes in the DC area. Chris draws on his unique experience as the owner of Corcoran Builders to work with leading architects and designers, delivering the highest quality results and processes in the industry. It was a ski trip in 1993 that originally brought Mike to the small mountain town of Vail. After that winter his work with National Geographic had taken him elsewhere, but he had caught the “ski town bug” and continued to try and find a way to return. He finally made it happen in 1998 and never looked back. His dream of running a small B & B has morphed into Triumph; overseeing 50+ properties and staff who is as passionate about exceptional service and powder days as he is. Mike Foster came to real estate development after 17 years in the architecture world where he was a successful project manager with three different firms. 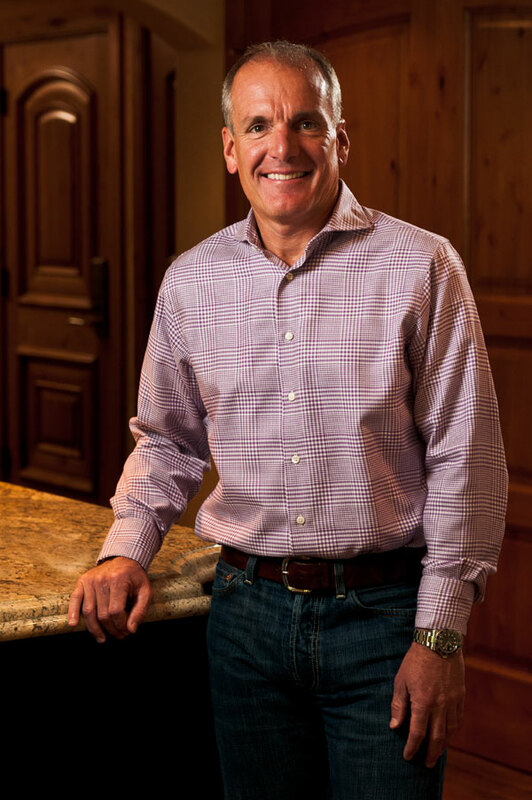 Prior to joining Triumph Development and Triumph Custom Homes, he was a partner with Resort Design Associates International, where he was involved since 1993.In addition to overseeing individual design, customization, and finishes for projects, he is also in charge of managing budgets, schedules, and maintaining the company’s high customer satisfaction ratings.